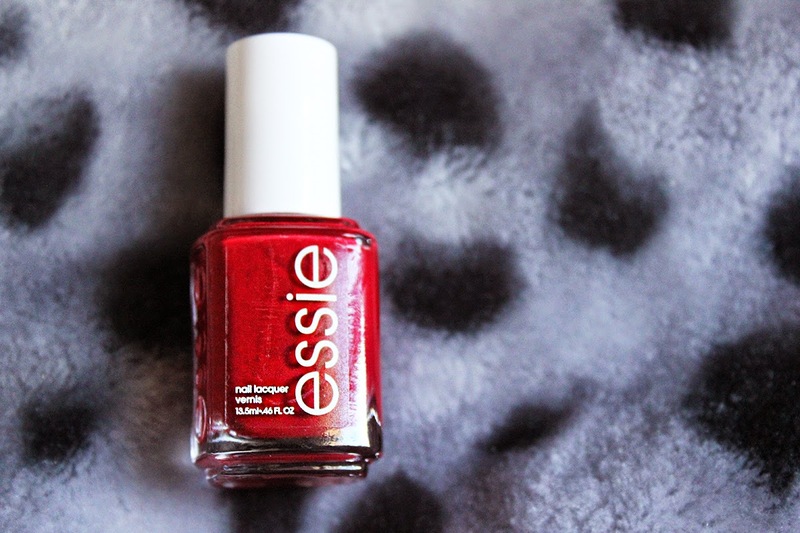 mz D i D i: [ R E V I E W ] Essie Nail Polish in "Fishnet Stockings"
[ R E V I E W ] Essie Nail Polish in "Fishnet Stockings"
Today I will be focusing on a nail polish review, and as you can judge by the title, it is Essie's Fishnet Stockings. 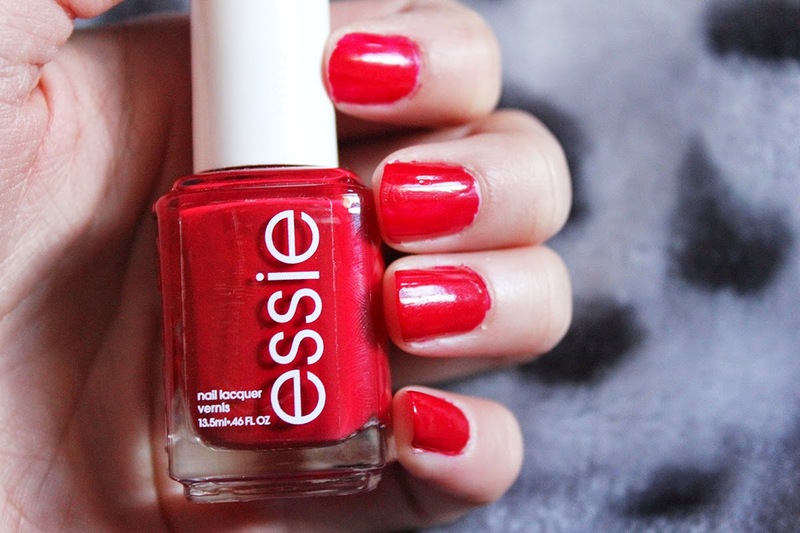 I own a few other Essie nail polishes and I can say with confidence the quality of Essie is superb! 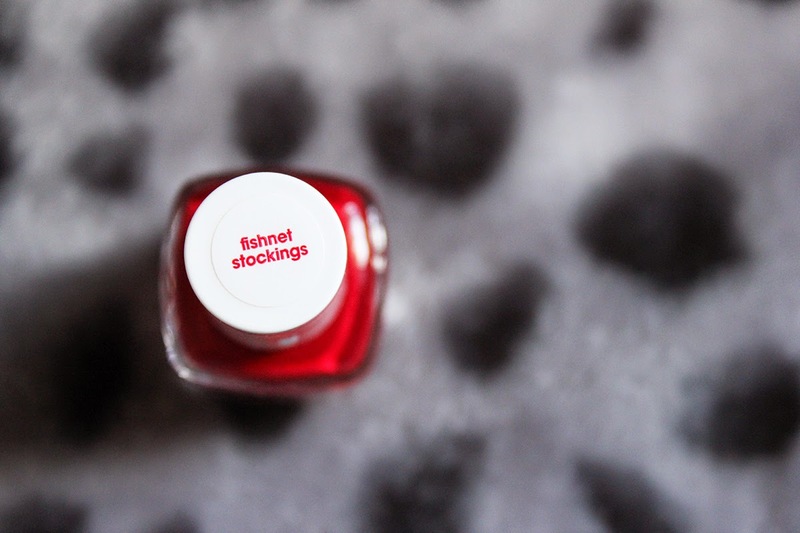 "Fishnet Stockings" is a brilliant bright cool-red (I'm really bad at describing colours, sorry) but when I apply it on, it reminds me strongly of ripe juicy red apple. 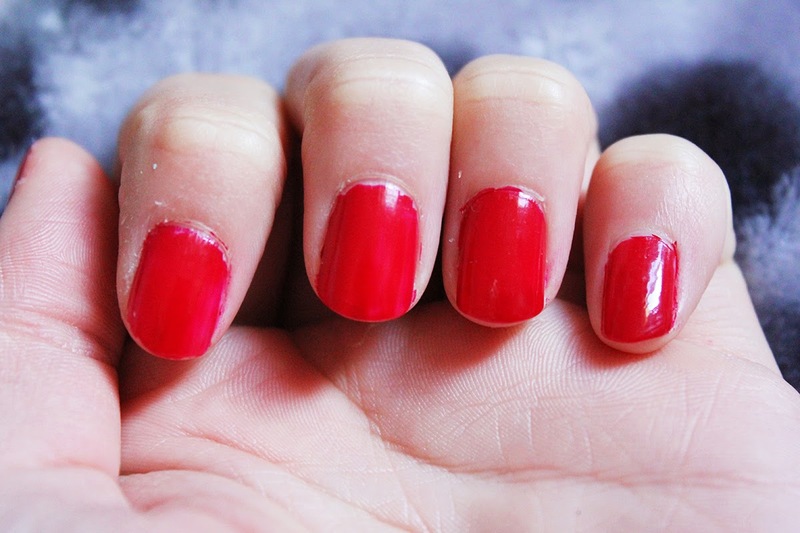 I only applied one coat of "Fishnet Stockings" and can see already it's very bright! I later on applied another coat and sealed it in with a top coat. I was always hesitant to purchase a red nail polish because I felt like it associated with being vampy but actually it's fun colour to wear. I now feel like it gives an drab outfit that pop of colour it needs without being over the top.